Megyn Kelly will not be returning to her job at NBC’s Today Show after the blackface comments she made earlier this week. And, according to a new report, weatherman Al Roker will be temporarily taking her place in the morning show’s third hour. According to Radar Online, the 64-year-old weatherman wanted Kelly fired for defending the practice of blackface for Halloween costumes. And, he is thrilled that NBC has given her the ax. Roker hosted the 9 a.m. hour with Tamron Hall before Kelly joined Today in 2017. Hall has since left the network, and NBC hasn’t decided who will co-host with Roker this time around. An insider says that Jenna Bush Hager could be a possibility. Multiple reports claim that the 47-year-old Kelly will not return to her job at NBC and is currently negotiating her exit from the network alongside her attorneys. Kelly was reportedly making about $20 million a year with her NBC contract. As for a possible long-term replacement for Kelly, NBC executives are reportedly in talks with The Voice judge Kelly Clarkson. Insiders say that the network bigwigs think it’s the perfect time to give the Today slot to Clarkson because of her huge fan base. Plus, she is extremely well-liked and relatable. Just two days after Kelly made the blackface comments, she didn’t show up for work, and insiders claim that the rest of the staff didn’t care. Everything was seemingly business as usual without Kelly, and nobody missed the former Fox News anchor. This was a completely different result compared to Matt Lauer’s exit. 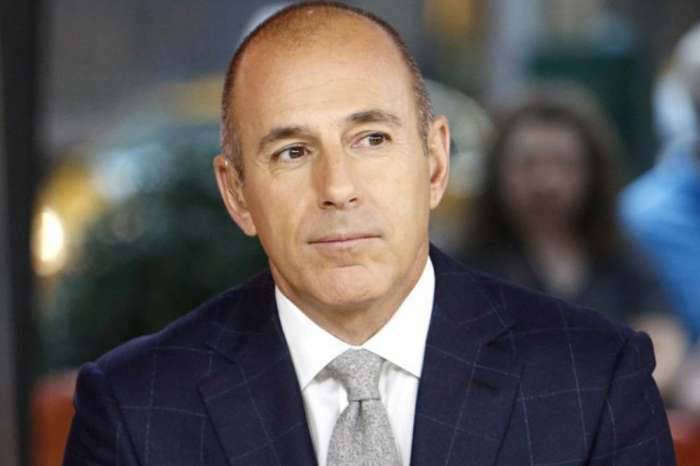 When NBC shockingly fired him last November, everyone on the Today Show staff was crying. But, when Megyn Kelly left, it was just another day.